In an academic climate at best indifferent, at worst hostile to hostile to religious faith, what is the way forward for Christian colleges? How can the academic community best serve God, the church, and students? 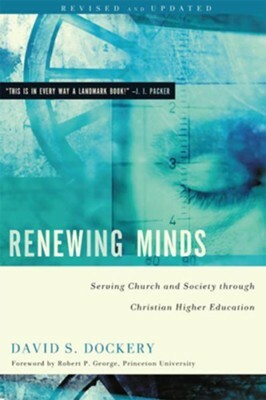 Presenting a thoughtful defense of Christian higher education, Union University president Dockery offers insight into shaping a Christ-centered worldview, reclaiming the Christian intellectual tradition, integrating faith and learning, thinking globally about the future, and more. A must-read for administrators and faculty. I'm the author/artist and I want to review Renewing Minds: Serving Church and Society Through Christian Higher Education, Revised and Updated - eBook.